Being a stay-at-home Dad means I don’t always get time to do a lot of the “guy” stuff around the house. I have been trying to hang these curtain hold backs for a while now and finally had time since The Hotness took Little Man to school for the day. Mika observed my progress for a little bit and decided I was getting too much done for my own good. Thankfully she recognized this and promptly remedied the situation! Oh, you need this pencil? Let me smack it around so you can’t have it. 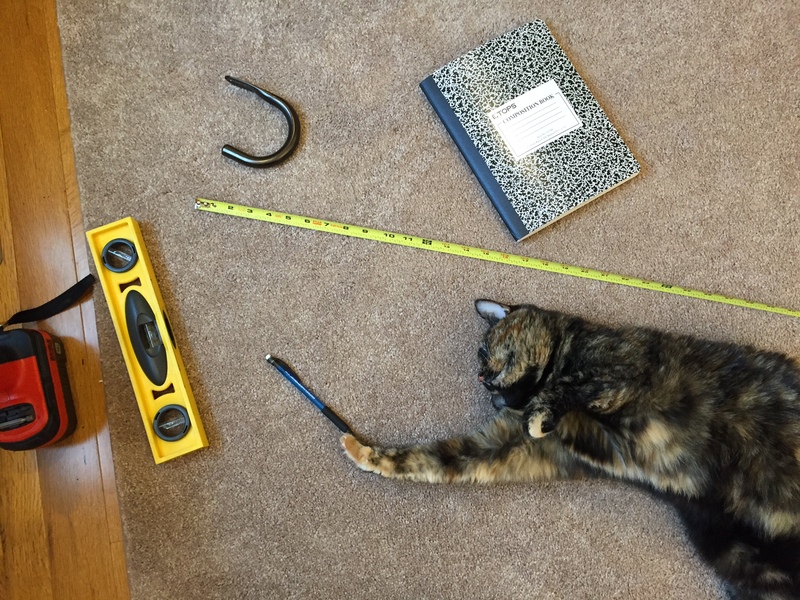 Nothing helps out like a cat knocking over your tools or just lying on top of them.